Sometimes things don't work out exactly as planned. The Mesan Alignment has a plan - one it's been working on for centuries. A plan to remake the galaxy and genetically improve the human race - its way. Until recently things have gone pretty much as scheduled, but then the Alignment hit a minor bump in the road called the Star Empire of Manticore. So the Alignment engineered a war between the Solarian League, the biggest and most formidable interstellar power in human history. First new Honor Jarrington novel in five years! 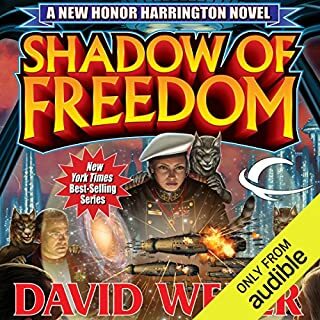 New York Times, USA Today, Wall Street Journal and international best-selling phenomenon David Weber delivers book 14 in the multiple New York Times best-selling Honor Harrington series, the first new Honor Harrington novel since 2013's Shadow of Freedom. But the bureaucrats known as the "Mandarins," who rule today's League, are not the men and women who founded it so long ago. 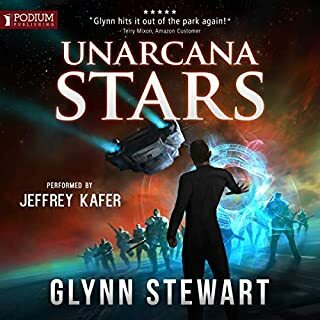 They are corrupt, venal, accountable to no one...and they've decided the upstart Star Kingdom of Manticore must be destroyed. Very few people know war the way Honor Harrington does. Very few have lost as many men and women, as many friends, as much family as she has. Yet despite that, hers has been a voice of caution. She knows the Mandarins and the Solarian League Navy are growing increasingly desperate as the truth of their technological inferiority sinks home, but she also knows the sheer size of the League. And she knows how its citizens will react if the Grand Alliance takes the war to the League, attacks its star systems, destroys its infrastructure...kills its civilians. 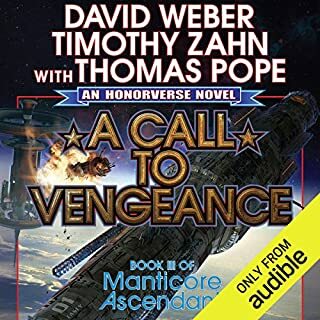 Today's victory, bought on those terms, can only guarantee a future war of revenge against a resurgent Solarian League and its navy. The League is sliding toward inglorious defeat as it steadily loses ground in the Protectorates and the Verge. As its central government teeters toward bankruptcy and even some of its core systems opt to secede in the face of the Mandarins' corruption. As the Solarian Navy finally realizes it cannot face an Alliance battle fleet and win. 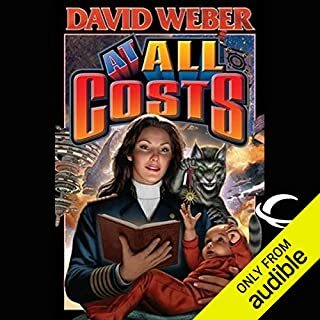 ©2018 Words of Weber, Inc. (P)2018 Audible, Inc. I am a big fan of the Honor Harrington Series. It was the first Sci-Fi series that I got hooked on. Over the years this series is what I compare all others against. 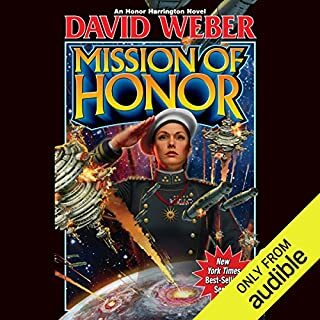 I found that I liked military science fiction with a strong female leader. 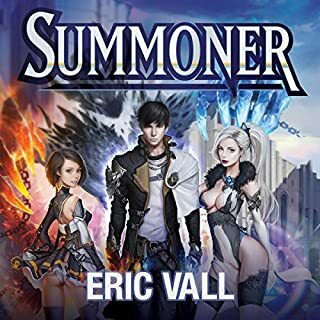 I was so excited that the next book of the series finally came out. My only complaint is that I had to wait five years for it. The Manticore Star Kingdom is now at war with the Solarian League. The League is headquartered in Chicago on Earth and is a very old League and extremely enormous in size. Its Navy ships are in the hundreds of thousands and Manticore is just recovering from almost being completely destroyed. I was surprised at how much I had remembered of the story considering the five-year gap. It was so great to be reading about the Star Kingdom again. My only complaint was there was not enough about Honor. I wanted the entire story about only Honor like in the old days of the series. From what I have read, this might be the last book in the series. How sad to think of Honor coming to an end. I guess I will have to re-read the series. I have never re-read a series before. 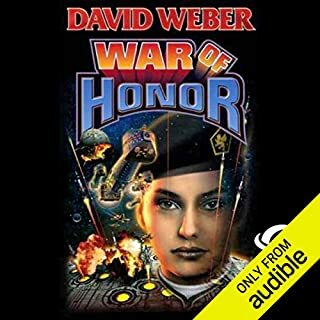 Over the years it is this series about Honor Harrington that I have measured against any new series I start. I imagine that will not change as this is still my first and favorite series. The book is long at thirty hours twenty-seven minutes. Allyson Johnson does a great job narrating this entire series. Johnson started out as a teenage actress. She won an Emmy at age of twelve. 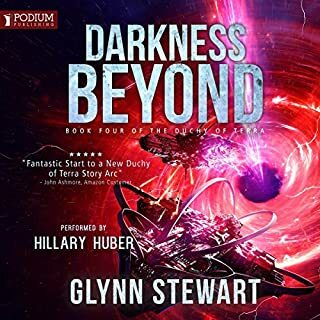 For the almost past twenty years she has been a dedicated voice-over artist and audiobook narrator. She has won multiple Earphone Awards and was an Audio Award nominee. 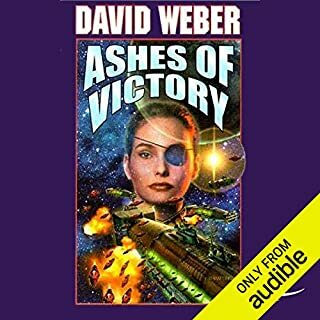 David Weber ended this ‘arc’ in fantastic fashion! If this is the end of this ‘arc’, that is. 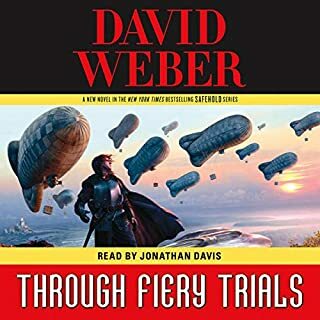 As Weber mentioned in the afterward, the overall story line has been written in three ‘arcs’, where this book is the culmination of two of them. Which means the overall story will continue. And based on some of the plot lines in this story, I am pretty sure where that ‘arc’ is headed. Which I am looking forward to with great anticipation. I would also like to thank the publishers for getting Allyson Johnson to read this one. 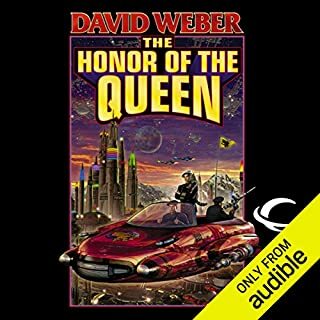 She is, by far, the BEST of the Honorverse narrators and I truly missed her in the other ‘arcs’. 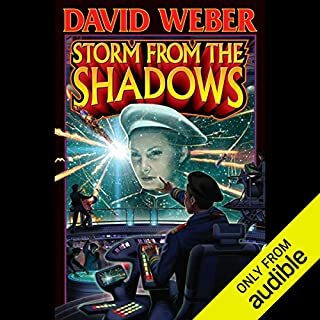 Thank you – David Weber! As the saying goes – ‘Let’s be about it!’ with writing the next one. For a book this long in the writing and with so many words, it really doesn't say much. Ending felt rushed and unsatisfying. 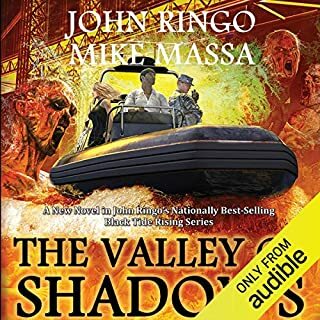 I liked the book for the most part but there was very little involvement of the title character until the last few chapters. The author clearly wants to expand the universe with other characters but it feels a bit like bait and switch. 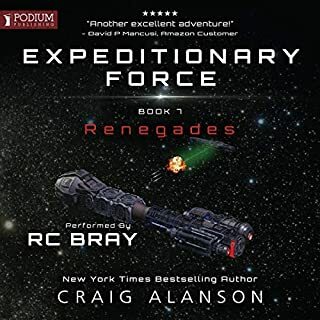 The first nine tenths of the book has a handful of space battles commanded by other captains and a few cameo-level appearances by Honor interacting with tree cats and friends. What you might think of as act 2 is a very wordy series of political intrigue settings and scenes along with lots of tree cat narration. This became monotonous at one point. The underlying story is compelling enough to keep you pushing through but it is at best, "good" story telling but by no means great. I've read all 14 novels and I'd definitely put this one at the bottom of the stack. Is this the end of an era? 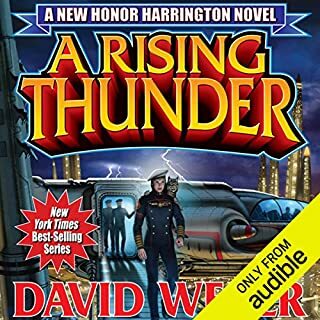 I grew up reading Honor Harrington books since I was 15. 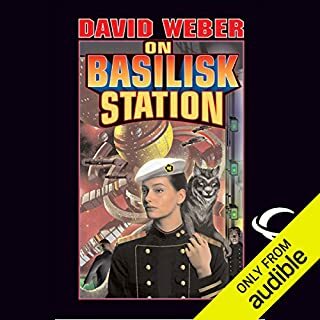 I remember reading 'On Basilisk Station' on a road trip and instantly fell in love with the series. I suppose all good this must come to an end. With this being "the last" truely HH book, I feel like a friend or role-model just died. 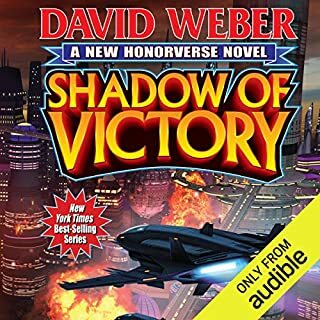 I enjoy the other Honorverse Novels, but it's not HH. I've noticed a trend in Weber's series. The longer they go on, the more he has to up the stakes. The events are big and dramatic, the writing becomes tired and full of endless cliches "smile of a hexapuma", etc. 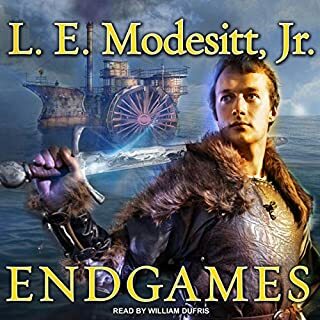 It's nice to get to an ending of the series, but I wish he could have wrapped it up 3 books ago when the writing and story were still enjoyable. The author obviously had a lot of points to make. A lot of story lines were very nicely wrapped up, but it was a long haul. Overall the series is great! A lot of repeat listen possibilities. Thank you Mr Webber. 3 times during the first 7 chapters.i have not been this bored since i stopped reading Robert Jordan and Terry Goodkin. these is so much useless background information that does not advance the story. sorry to be so negative. 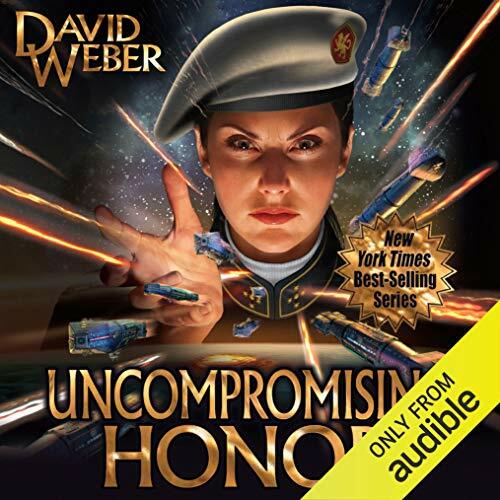 but this is the first time i am asking audible for a refund without finishing the book.